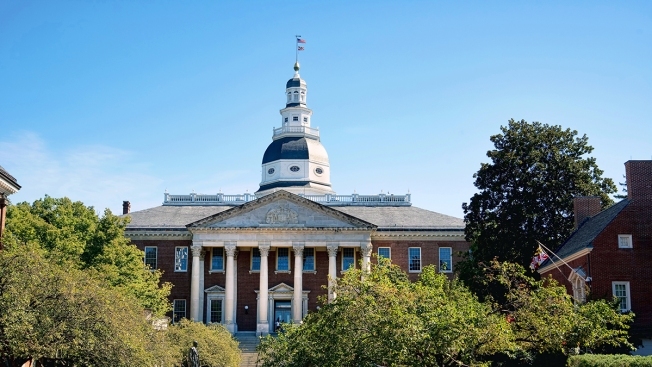 A Maryland state lawmaker should be reprimanded for an "ongoing pattern of bullying and abusive workplace behavior," according to a report by a legislative ethics committee released Monday night. A 16-page report on Del. Jay Jalisi from the Maryland General Assembly's Joint Committee on Legislative Ethics was delivered to lawmakers during an evening session. The behavior outlined in the report took place over the past five years. "The findings reveal repeated abusive conduct by Delegate Jalisi — conduct that was intimidating, degrading, disrespectful, and belligerent," the report said. "The Ethics Committee further finds that Delegate Jalisi misled individuals regarding their employment and compensation." The report also said the Jalisi "retaliated against of the individuals who participated in the Ethics Committee's review in an apparent effort to silence this individual and keep the delegate's behavior out of the public eye." Jalisi did not immediately return a call requesting comment. In a written response to the committee's allegations, Jalisi "flatly denied nearly all of the allegations, and otherwise alleged that insufficient information was provided to which he could response," the report said. The ethics panel found that the Baltimore County Democrat forced his staff to work overtime and wouldn't sign their time cards. The report cited sworn testimony and emails that Jalisi instructed an aide to work about 100 hours of overtime but refused to approve timesheets reflecting those hours. Jalisi also refused to allow the aide to leave work when the Maryland General Assembly was on liberal leave status and all bill hearings had been canceled because of inclement weather, the report said. As a result of Jalisi's behavior, House Speaker Michael Busch requested that Jalisi participate in anger management and workplace civility programs. This year, Jalisi was prohibited from having staff paid by the General Assembly, because he had not completed a program as requested by the speaker, but Jalisi continued to mislead staff that they would be paid, the report said. "Even more concerning is the fact that Delegate Jalisi misled his staff and expressly stated that the staff would be paid even though he had been advised repeatedly that he was not authorized to put any individuals on the legislature's payroll," the report said. The report also said Jalisi has refused to acknowledge or accept any responsibility for his conduct or its effect on General Assembly staff and has made no effort to reform his conduct.